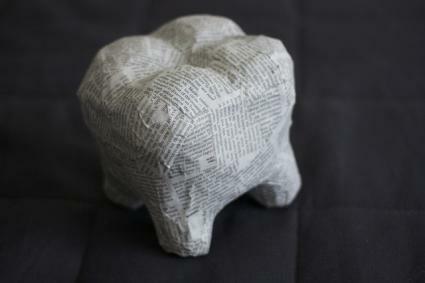 Knowing how to make paper mache opens up all kinds of creative possibilities. From simple kids crafts to pretty paper mache jewelry for adults, this is a versatile craft material. The process is fairly easy, and you can even make this non-toxic paste and paper combination if you're crafting with kids. Paper mache starts with a paste mixture, which you can make using things you already have around the house. There are a number of recipes for making the paste, but this version is very strong, non-toxic, and easy to mix up when you want it. You can vary the amount of the ingredients depending on how much of the paste you need for your project. Measure out one part of flour and dump it into the bowl. Depending on how much paste you need, you may choose to use one cup. Now it's time to add water. Two parts water for one part flour is a good rule of thumb, but you may want thicker or thinner paste for your project. Add the water slowly, stirring with a spoon to help it combine. Use the electric mixer to beat the paste on low speed until it is fully combined. You don't want any lumps, so this may take a couple of minutes. This is an important step, since a nice smooth paste will ensure good results for your project. Mix your paper mache paste according to the recipe. 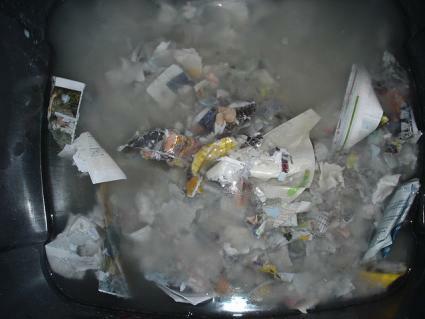 Tear newspaper, paper grocery bags, magazines, or other sturdy paper into thin strips. You should tear, rather than cut, these strips to give your piece the right texture. Dip paper strips into the paste mixture, making sure that each strip is thoroughly coated. Wipe off excess paste as you work. Cover the base of your item with the strips of paper. Overlap each strip slightly to create the first layer. Allow the item to dry completely. This is important, since too much trapped water can cause your project to get moldy over time. Add another layer and allow it to fully dry. Repeat the layering process as needed. When the item has had time to completely dry, you can paint and decorate as desired. As you can see from the flexibility in the recipe, there can be quite a bit of variation in the way you make your paper mache paste. Try some of these ideas. Use far more water than you would in uncooked paste. Six parts water to one part flour is a good place to start. Pour the flour and the water into a saucepan. Stir with a fork or wire whisk until the lumps have disappeared. Place the pan on the stove and set the burner to medium-high. Bring the paste to a boil. Boil the paste, stirring constantly, for about two minutes. Take the pan off the heat and allow the paste to cool completely. It should thicken as it cools. The scent of flour and water isn't at all offensive, and many people prefer to keep the recipe simple. However, if you want to add a little something extra to your project, consider mixing in a dash of cinnamon. This can be especially nice if you're making holiday crafts. If you are not crafting with kids and are worried about your project getting moldy, you can substitute wallpaper paste for the white flour. This paste mix, which is available at most home improvement stores, typically contains some type of fungicide to discourage mold. However, it will make your paste mixture toxic. Many crafters find that using wallpaper paste is unnecessary if you allow each layer to dry completely before applying the next layer. Learn how to make a pinata. Paper mache is the base for this fun party craft. Make a paper mache football helmet to use in a costume or just have as a decoration. Create a paper mache Easter basket and other super easy Easter crafts. Find out how to create a paper mache snowman craft for kids. 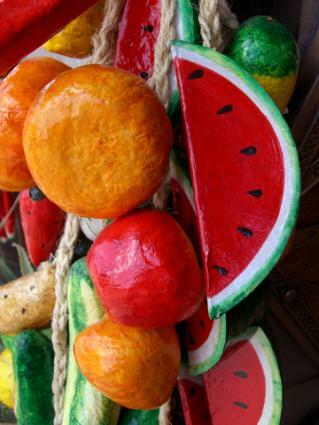 Paper mache is a versatile, simple crafting process that can be fun for the whole family. Whether you're mixing up a batch of paste to make a something with the kids or creating your own beautiful craft projects, it's all about experimentation. Take some time to choose the consistency and the variations that work best for you.